WHY IS THERE LIGHT IN THE FRIDGE BUT NOT IN THE FREEZER? According to one source;"Its because the temperature in a freezer is much lower than of a refrigerator, a much more expensive shatterproof bulb would have to be used. In fact, if you put a common household bulb in the fridge, it will be fine. But put it in the freezer, and it should crack after a few hours (or days, depending on the temperature you freezer operates at)." "It all comes down to cost/benefit and features. While it’s not terribly expensive to add a light, sealed fixture, switch, wiring, etc. relative to the cost of the whole unit, it does cost something and manufacturers want to save every dollar they can in the cost of manufacturing their product. Studies have shown that people don’t open the freezer nearly as much as they open the refrigerator and certainly not as much for “browsing”. Ice-cream sandwiches and similar items aside, when people open the freezer, they are generally going to be looking at getting something out that takes some further preparation. So the kitchen light will probably be on anyways. 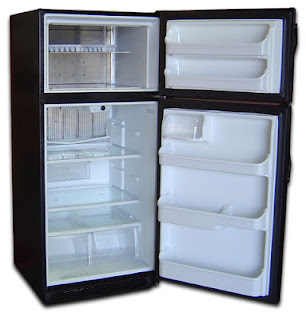 Thus, the benefit of having a light in the freezer is much less than in a refrigerator that often gets raided at night, to the point that manufacturers would rather save themselves the money of putting one in, as most people don’t really care or notice whether their freezer has a light or not. Think about it, do you know without looking whether your freezer has a light and, if not, have you ever found yourself wishing it had one? (Note: I didn’t know and had to check! It did but it was burnt out and I never noticed! Further, last time my refrigerator light went out, I felt something was off immediately, but couldn’t put my finger on what exactly until that very night when I didn’t have the light on in the kitchen and opened the refrigerator door. I then realized the problem instantly with the refrigerator, but never noticed with my freezer." Note:The author doesn't guarantee the correctness of the info provided by the two sources.